Mina Yamanishi was born in Chiba, Japan. She began her ballet training at the Acri-Horimoto Ballet Academy. 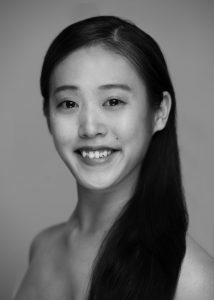 After competing at the 2015 Prix de Lausanne she received a scholarship to study at the Centre International de Danse Rosella Hightower in France, where she trained for two years. For the 2017-2018 season she was a member of the Cannes Junior Ballet. She joined TBII in 2018.